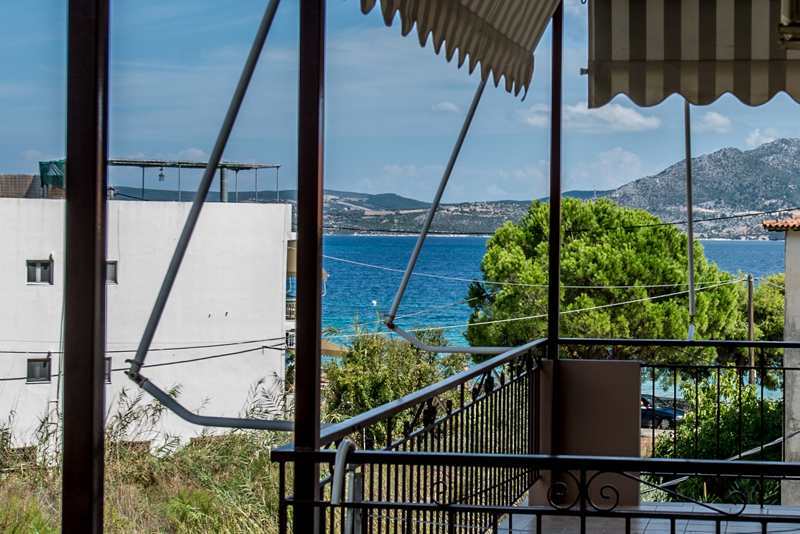 Nikoleta's Studios - Explore the best destinations! 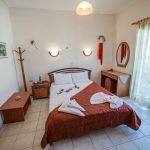 The Nikoleta’s Studios are located in Nikiana, a beautiful fish village at the foot of mountain Skaroi, with fantastic view to both the sea and the mountain, just 30 meters from the refreshing, sandy beach of Nikiana. 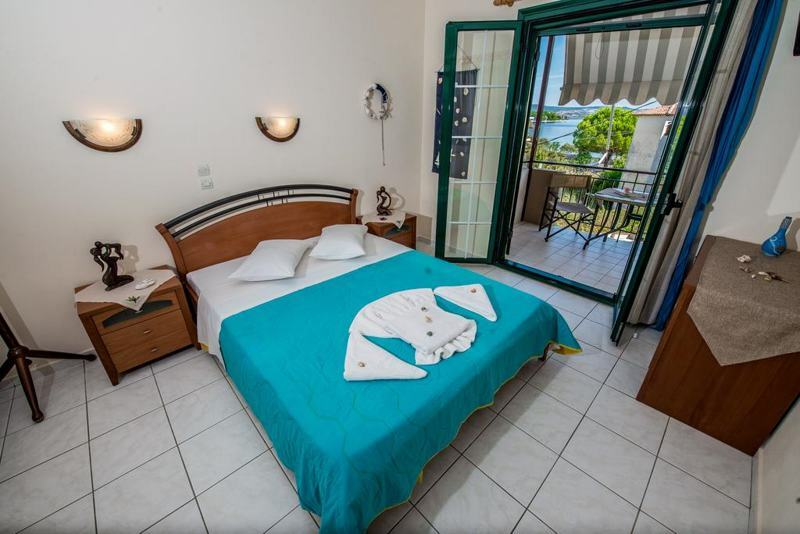 The rooms are fully equipped will all the modern comforts as to fully enjoy your staying on our hospitable island. 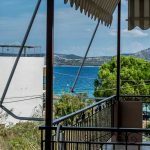 The Nikoleta’s Studios consists of 4 studios, 2 studios with two separate rooms and 1 two bedroom flat. 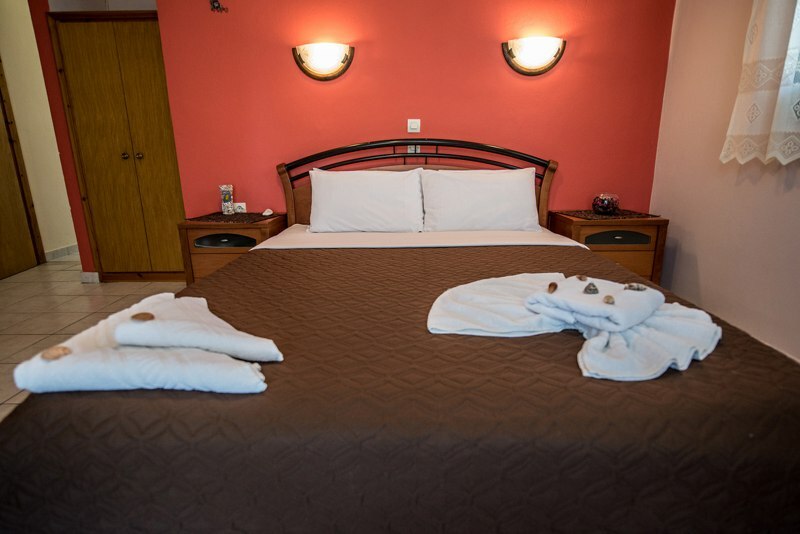 Our rooms are fully equipped with kitchen, electrical appliances, TV, air conditioning, anatomic mattresses, mosquito screens and of course daily cleaning services. 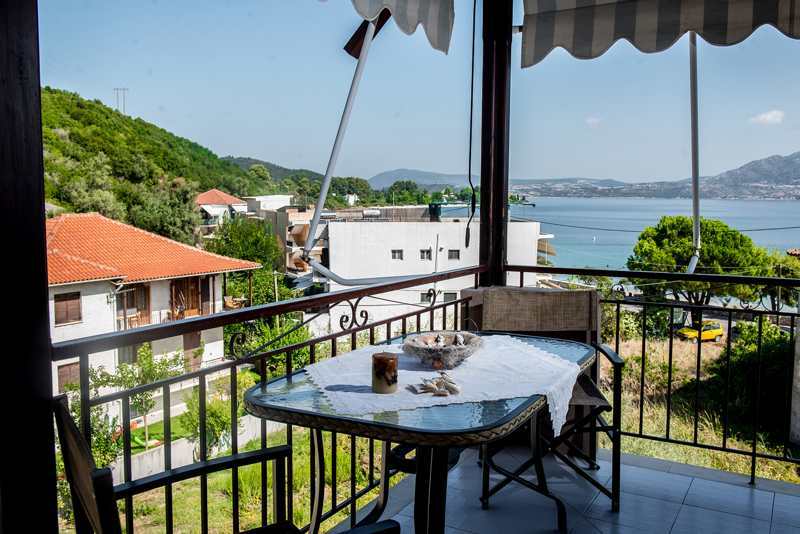 Furthermore, they have big balconies with a table and comfortable chairs in order to enjoy your morning coffee in the company of the tranquil view of the sea and the green of the mountain! 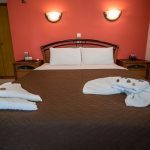 STUDIOS : They can host up to 2 people. 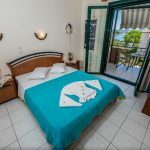 They provide double bed, small kitchen fully equipped, HD TV, air conditioning and a bathroom with a shower in it as well as all the already mentioned comforts. 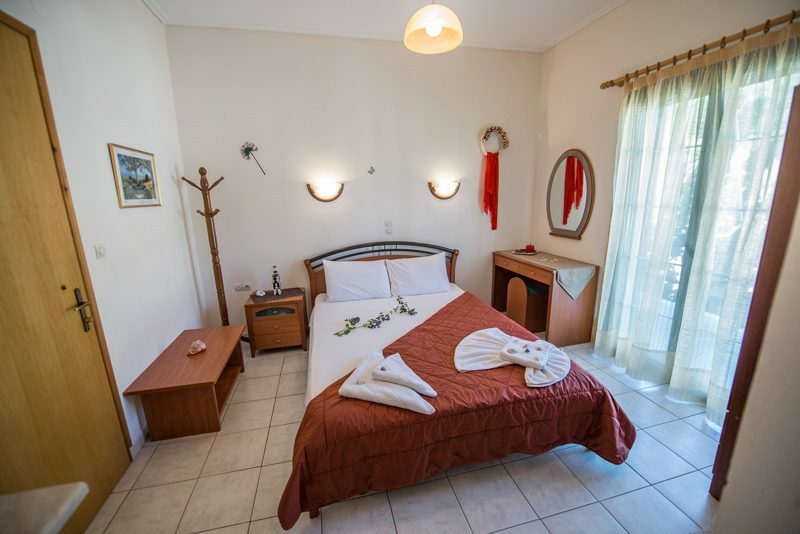 STUDIOS WITH TWO SEPARATED ROOMS : They can host from 2 up to 4 people. 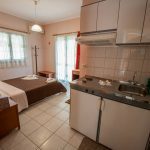 They have a bedroom with a double bed, an HD TV, air conditioning and a second bedroom with a bunk-bed, a fully equipped kitchen, bathroom with a shower in it as well as all the already mentioned comforts. 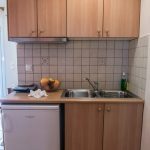 TWO BEDROOMS FLAT : It can host from 4 up to 5 people. 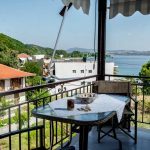 It is on the ground floor, with a big yard and a veranda with a lot of greenery. 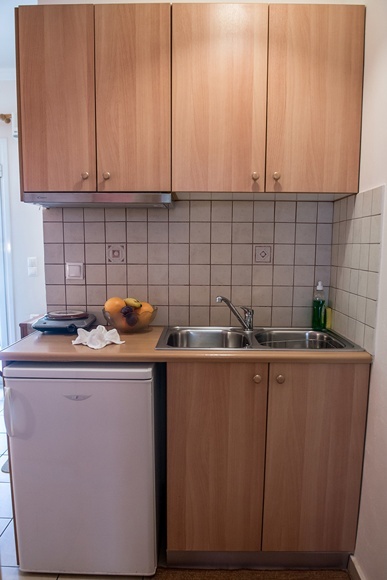 As you get in the flat, there is a bathroom. 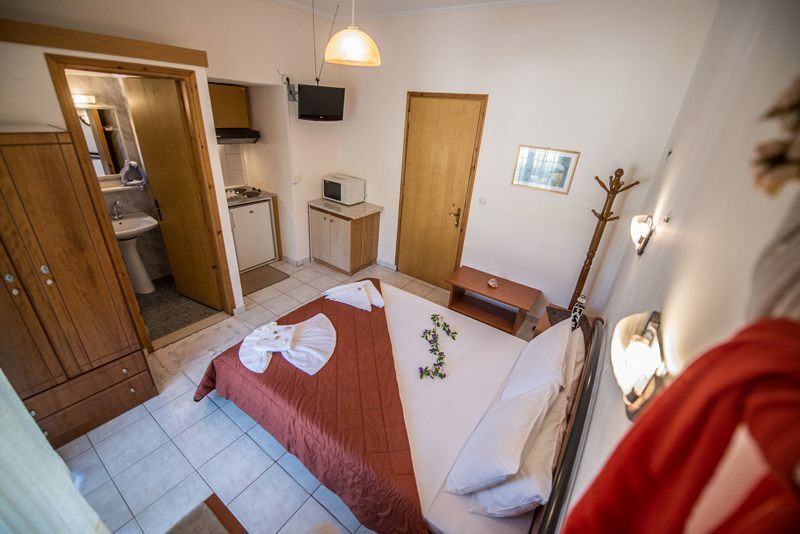 It has also got two independent bedrooms, one with a double bed and a single one, while the other has a double bed. 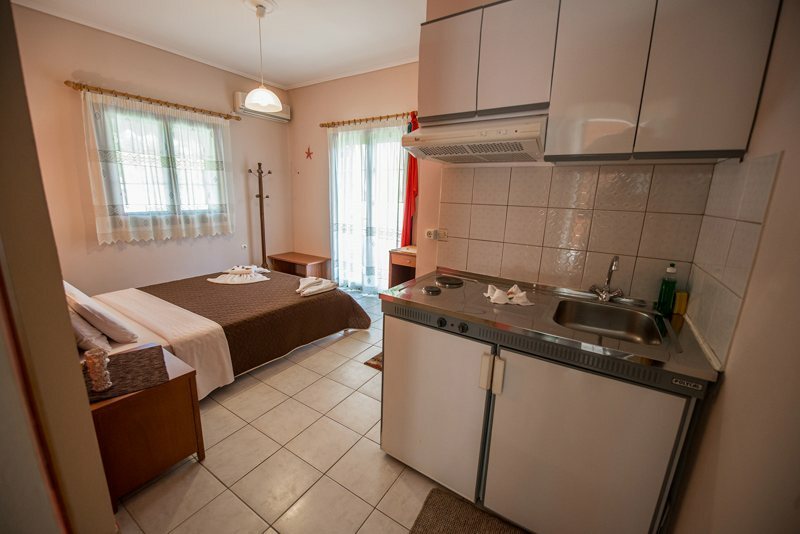 There is also an HD TV and air conditioning as well as all the already mentioned comforts. 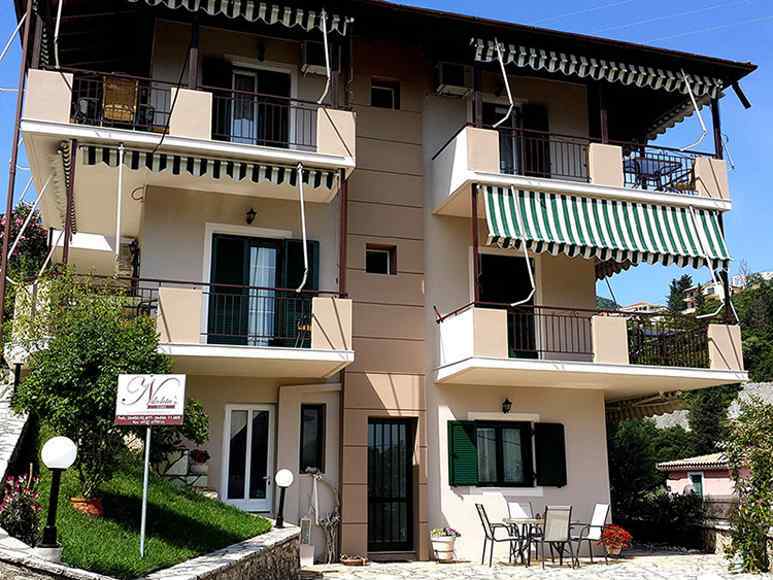 It is spacious and comfortable, ideal for a large family or two couples.